Choosing a wedding photographer in New York is an indispensable part of the wedding planning process, it’s as essential as selecting a venue or finding a picture-perfect dress. Except that unlike the flowers or the catering, your photographs will live on long after your big day. It can be challenging to find the perfect photographer who will match your taste and aesthetic —and especially someone you can trust to truly capture the most significant moments. Are they going to capture the shots you want? Will they work well with you? If you’re beginning to feel overwhelmed, the team at The Event Planner Expo, has some excellent guidelines for you to make sense of it all! One of the most proven marketing methods is word of mouth when it comes to finding the right wedding photographer in New York. As the saying goes, “birds of a feather flock together,” so chances are you have friends who share your style and have a similar budget to yours. If you attended a friend’s wedding and loved the images the photographer produced, don’t hesitate to ask them who they used and what their experience was like. This is probably one of the only times it’s OK to stalk someone’s profile on social media. Feel free to go on an endless browsing spree when looking for the best wedding photographer in New York. You can begin your stalking by searching through wedding magazines and blogs online or find a venue’s geotag and scan through their events. As you’re clicking from one profile to the next and see images that match your taste and vision, you may end up finding a wedding photographer in New York that you would’ve never found on some directory. You can also utilize Instagram’s “Explore” feature to go through some of the most popular wedding hashtags, like #weddings, #weddingphotography, #weddinginspiration, # or #weddingdetails. 3. Settle on a style. You need to decide what your photography style is. Are you more drawn to the genuine aesthetic that film produces or are you more into the clear and classic style that digital photography delivers? Once you have a clear vision of what you want, it’s time to scan through various portfolios to find the right fit for your wedding day. Consider looking for someone who has the skills to produce different styles such as traditional portraits or documentary style because sometimes you think you know what you want, and then the photographer plays with different options and shows you a style you never imagined would turn out to be so stunning. However, if your style is set in stone, then look for a wedding photographer in New York who specializes in that style of photography. With so many wedding photographers out there to select from, it may come easy for you to hire a wedding photographer simply because their work is so impressive, but people tend to forget considering what their wedding will actually look like. If you’ve chosen an intimate indoor venue in New York City, you need to search for inspiration along those lines instead of being distracted by the wedding photos you loved so much that were in an outdoor setting. The first task on your list when looking for a wedding photographer in New York is understanding what various services and products will cost. You’ll notice that most photographers don’t post pricing on their website, but you can analyze their portfolio to get insight on the types of weddings they typically shoot. You can also look at their work to gauge their price points. If you checked their Instagram profile and you noticed a bunch of destination weddings and weddings held at pricy venues, it’s safe to assume that their pricing is on the higher end of the scale. 6. Start with one vendor and the rest will follow. 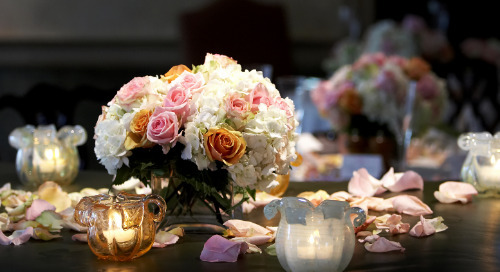 Did you find the best florist for your wedding? Well, what are you waiting for to ask them about photographers they may know? 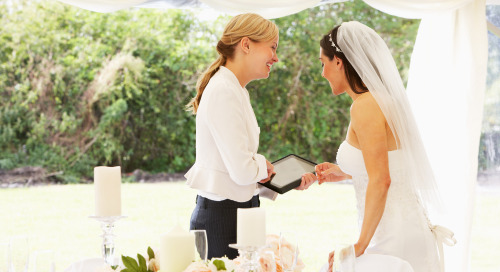 There’s no other industry that is as close-knit as the wedding industry. Again, “birds of a feather flock together.” That statement stands true with event pros too and if you look at your florist’s website to see who shot their events, chances are you’ll find that needle in the haystack. Not only will this tactic match you with a wedding photographer in New York who shares your style, but also your budget. 7. Make sure your personalities mesh. OK, now that you found a wedding photographer in New York that you like, what’s next? Well, now you must make sure they match your personality. When designing your first email, be sure to include the venue you’ve chosen, the date, and the hours you will need coverage. Let them know what your vision is for your wedding day. If the photographer feels connected to you, they’ll respond in a personal tone, which will make sparks fly. Even better? Don’t just rely on the email. If you can’t meet them in person, set up a call. This is someone who will be spending a good chunk of time with you during the most important time of your life. If you establish trust from the beginning, there’s a good chance you’ll have the experience you’re looking for on your big day. Don’t just settle for looking at a set of pictures from one of the weddings the photographer was hired for. Browse through several weddings they’ve shot because this is someone who is going to cover your wedding day from start to finish. Also keep in mind that their portfolio typically highlights their best images, and anyone can find a good 20-30 images of their best work to throw on their website. You’ll also want to ask for references so you can talk to their past clients and ask them what their experience was like with this particular photographer. 9. Agree on the details. Before you sign the contract, be sure to keep the critical points in mind. For example, when can you expect for the photographer to deliver your final images? Make your timeline clear to them so that your expectations are understood from the start. If you’re wedding is in the fall, then perhaps you expect your images back by the holidays and that’s something the photographer needs to know. Are you looking to get enlarged prints that you can frame? Then that is yet another element you need to discuss with your photographer so that as they’re shooting your pictures, they aim to capture an image that will go well in large format. Are you a wedding photographer who would like to be a part of the 2019 Event Planner Expo? Contact us today to find out how you can become an exhibitor and have the platform to network with the top event professionals in the industry.